Common silverfish (Lepisma saccharina) are small, wingless insects that wriggle as they move. They are interesting little creatures, but they can also be very annoying and destructive household pests. A major component of their diet is starch. Encountering the insects is often an immediate call to action in order to protect food, paper, and other starch-containing items. Silverfish can sometimes be eliminated by natural means, which is always my preference. Chemical methods can also be used to get rid of them. After the insects have disappeared, a few precautionary steps will make another infestation unlikely. A silverfish has an elongated and fairly flat body that tapers at the end. It has a segmented surface and is covered with shiny, silvery-grey scales. There are two long antennae at the tip of its head and three long bristles at the end of its body. The bristles are responsible for the alternate name "bristletail", which is used for both the silverfish and its relatives. Like other insects, a silverfish has three pairs of legs. Adults are a quarter inch to half an inch long. As silverfish wriggle and move rapidly along the ground, it’s sometimes hard to see their thin, light-colored legs and appendages. This creates the illusion of little silver fish swimming on land and makes their common name very appropriate. The insects tend to move for a short interval, pause, and then move again. The insects are usually found in damp areas with high humidity, such as basements, laundry rooms, bathrooms, and kitchens. They may be found in large numbers in new buildings if the plaster or wood in the buildings still contains moisture. Silverfish are nocturnal creatures. During the day, they hide unnoticed in cracks and crevices. At night, they become active and search for food. They sometimes leave scales and yellow stains behind as they travel. Since silverfish are secretive insects, they may reproduce and do a lot of damage before they're discovered. It's important to inspect dark and hidden places in a home regularly to determine whether pests are present. Silverfish eat a wide variety of food, especially carbohydrates. They feed on paper, photographs, wallpaper paste, starch in clothes, fabrics such as cotton and linen, and any foods rich in carbohydrates that they find in the house. These foods include sugar, flour, bread, rolled oats, and other cereals. The insects even feed on starches in the glue found in book bindings. Silverfish also eat mold, dandruff, and body coverings from insect molts. In addition, they eat high-protein foods such as meat and dead insects. They can survive for several months without food. During the mating process, the male silverfish releases a package of sperm called a spermatophore onto the ground. The female picks the package up with an organ at her rear end called an ovipositor and then inserts it into her body. Sperm are released from the spermatophore and fertilize the female’s eggs. The female lays the tiny eggs in any cracks and crevices that she can find. The eggs are white, oval, and about one millimeter long. They may hatch in weeks or months, depending on the environmental conditions. The nymph that is released from an egg looks like a smaller version of the adult, except it’s lighter in color and isn’t shiny. The nymph periodically molts (sheds its old body covering) as it grows. 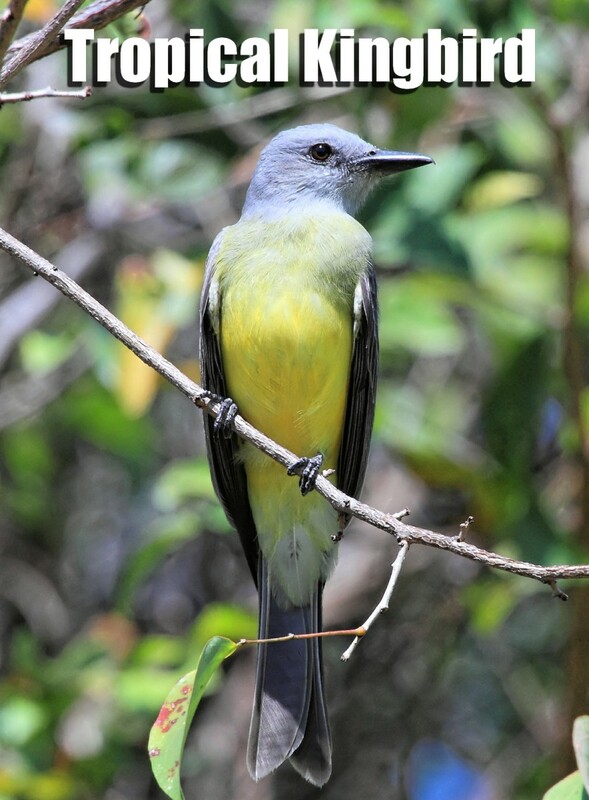 It eventually develops the dark and metallic shine that is a characteristic of the adult. Silverfish are long-lived insects. They may live for two to eight years, depending on their environment. They continue to molt even when they are adults, which is unusual for an insect. Silverfish may live for a long time if they aren't killed by humans or attacked by a predator. Common predators include earwigs, centipedes, and spiders. It’s best to avoid removing silverfish with pesticides unless chemicals are absolutely necessary, especially if you have children or pets. 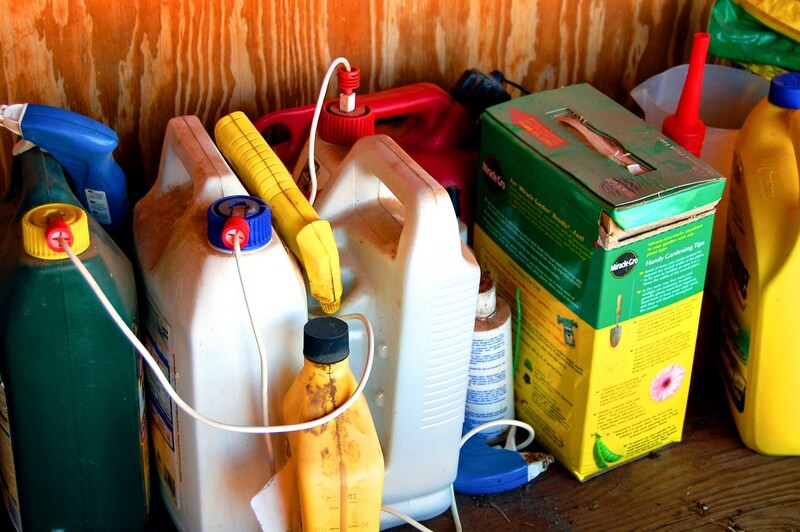 The fewer dangerous toxins in the home the better. 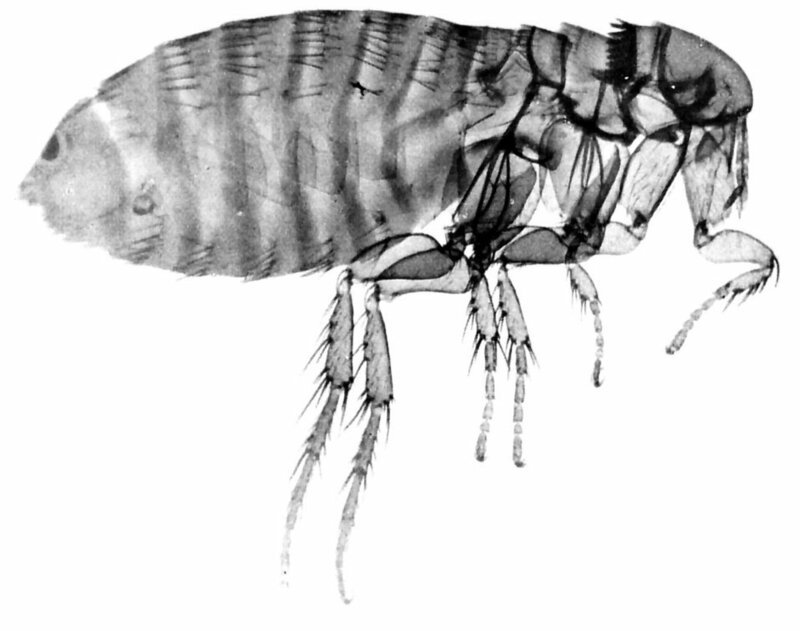 A small to moderate infestation may be solved by eliminating the insect's food sources, preventing moisture buildup, and reducing humidity. A larger one may require trapping and disposal. Taking steps to avoid a silverfish invasion may also be very helpful for preventing infestations by other pests. Silverfish scales and droppings in food would be very unappetizing, to say the least. The destruction of irreplaceable family photos and important documents by silverfish would be heartbreaking. 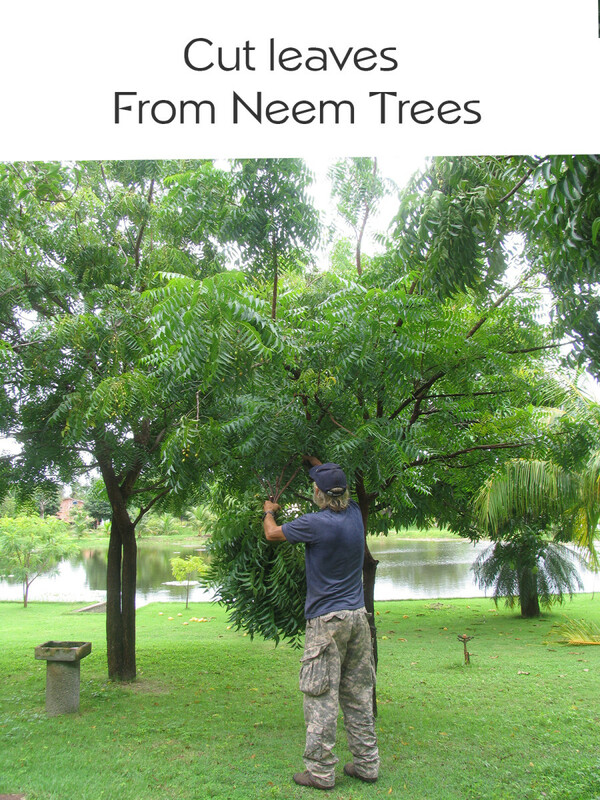 These effects can be avoided by the following strategies, which help to starve the insects. Make sure that all food containers and packages, photo albums, and containers of important papers are securely shut and sealed. Books, magazines, and newspapers should be placed in enclosed areas such as cabinets, cupboards, and plastic storage containers. Cupboards and containers should be cleaned to remove any silverfish eggs before paper products are stored in them. Make sure that cupboard doors and storage container lids close firmly, with no gaps, or seal them shut until silverfish have been eliminated from the home. Silverfish can’t move on smooth, vertical surfaces, so if they fall into sinks or bathtubs they will be trapped. A simple and effective insect trap can be made by covering the outside of a glass jar with masking tape and putting some bread inside the jar. The tape provides traction for the silverfish to climb up to the mouth of the jar. If the insects fall into the jar they will be trapped, since they won’t be able to climb up the smooth inner surface of the glass to get out. If you need help deciding where to place traps, a technique that’s often recommended is to place index cards coated with a dried paste of flour and water in areas where you suspect silverfish activity. Leave the cards there for at least a week before you decide that none of the insects are present. Look for the appearance of notched edges and scrape marks on the index cards to indicate the presence of silverfish. If you need chemical help to rid your house of pesticides, you might want to try diatomaceous earth first. This is a powder made of the crushed fossils of diatoms, which are microscopic creatures with hard coverings made of silica. The powder is abrasive and may remove the waxy covering on the surface of the silverfish. The coating helps to prevent water loss from the insect’s body. If a silverfish loses its waxy coating, it will dehydrate and die. Diatomaceous earth is not toxic to humans or pets. It's important to be careful when using it, however, since the dust is a lung irritant. Wear a dust mask or respirator when you are applying the powder. Avoid getting it into your eyes or touching it, since in addition to being a lung irritant it's also a desiccant (a substance that removes moisture from materials). 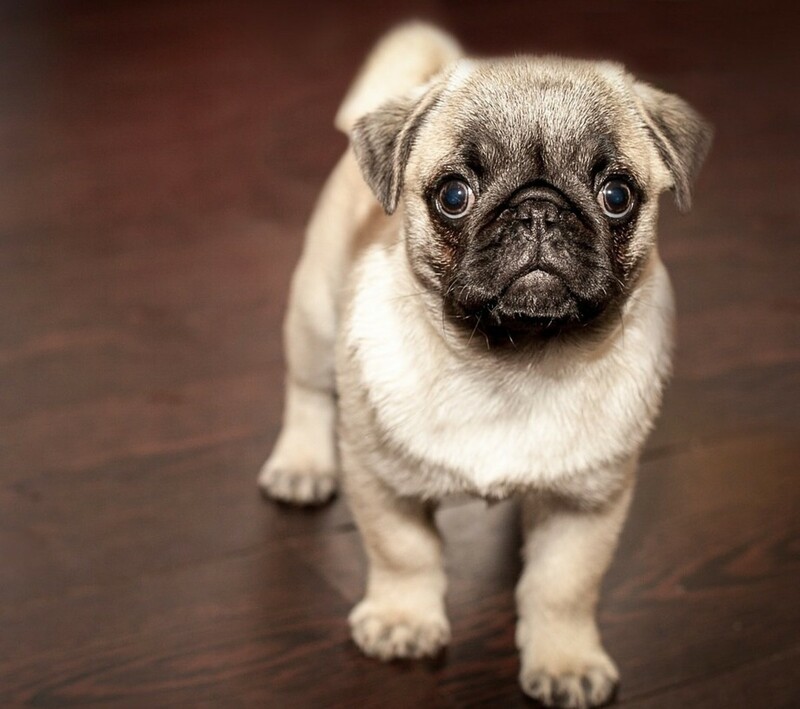 Diatomaceous earth can be spread into crevices and pushed into cracks, but it may not be suitable for a house with pets. You really don’t want dogs or cats to sniff the areas where the powder has been applied or to inhale the dust. A chemical pesticide may be necessary for a heavy silverfish infestation. The decision to use one should never be taken lightly, however. The pesticide may be applied as a spray or a powder. Boric acid also kills silverfish, at least in some formulations. 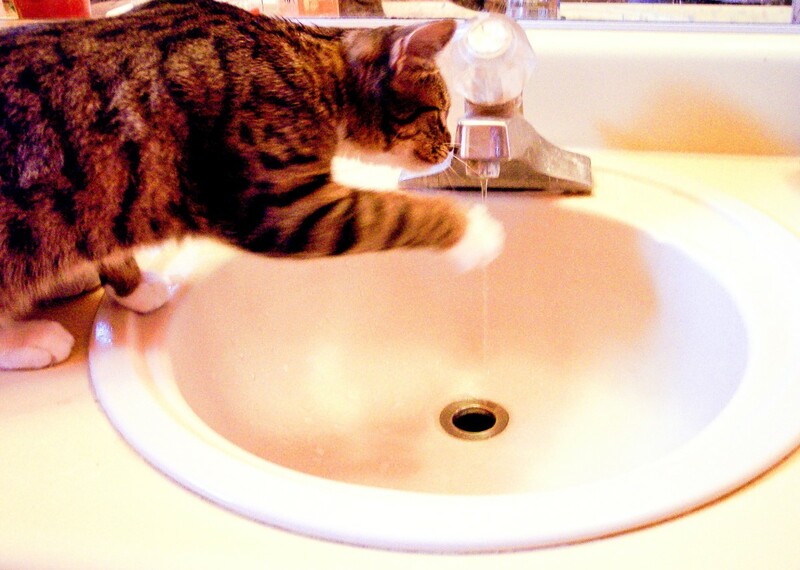 The acid is often reported to have very low toxicity in humans and pets when used in a dilute solution, but scientists have concerns about its safety as it becomes more concentrated. It's said to kill silverfish by dehydration and also by toxicity when it's ingested. Children and pets shouldn't have access to boric acid. Pyrethrins are chemicals present in the flowers of specific species of chrysanthemums. They are classified as insecticides because they interfere with an insect's nervous system, killing the animal. They have low toxicity in humans and other mammals, however. They are often used in preference to more dangerous pesticides. I've never used pyrethrins, but they are said to work well in the fight against silverfish. Pyrethroids are synthetic insecticides derived from pyrethrins. They last longer in the environment than pyrethrins and are often more toxic to humans. Different types of pyrethroids have been created. They have different characteristics and different degrees of toxicity. If chemicals are needed to treat a silverfish infestation, it's best to consult a professional pest remover. Although pesticides can be very effective, there are potential dangers associated with them. This is especially true for some chemicals. An expert can remove pests and give safety advice as well. Have you ever had silverfish in your home? No, never, as far as I know. I have, but they've never caused noticeable or serious problems. I have, but I got rid of them on my own or with help. I'm experiencing my first (or another) silverfish infestation right now! Some insect pests may be misidentified as silverfish. 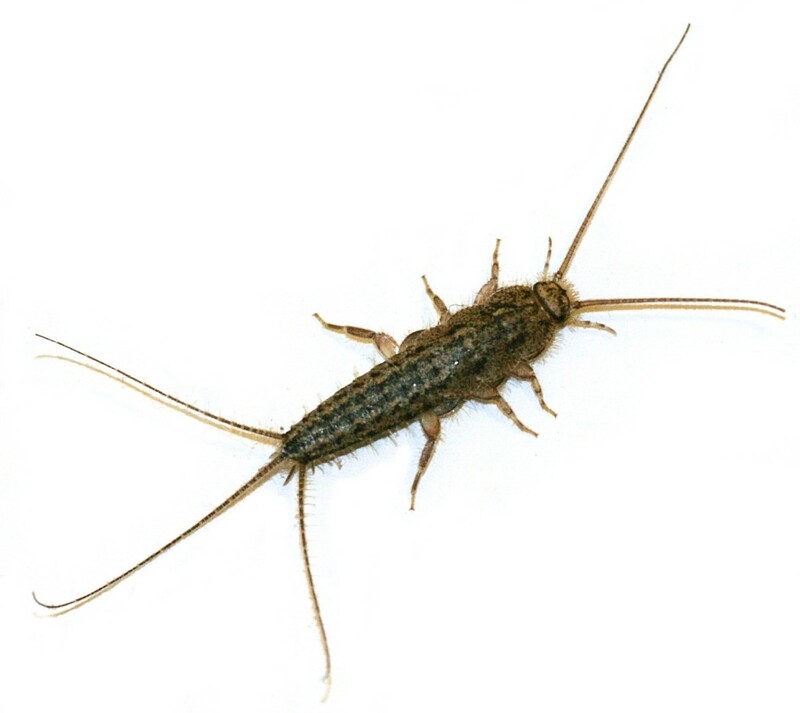 The firebrat (Thermobia domestica) is a relative of silverfish and may also be an unwanted guest in homes. Firebrats are similar in appearance to silverfish except for the fact that they don't have a silver body. Instead, their bodies are a grey or brown color and have black bands. Firebrats live in warmer environments than silverfish. They can often be found around ovens, water heaters, and furnaces, especially in insulation. 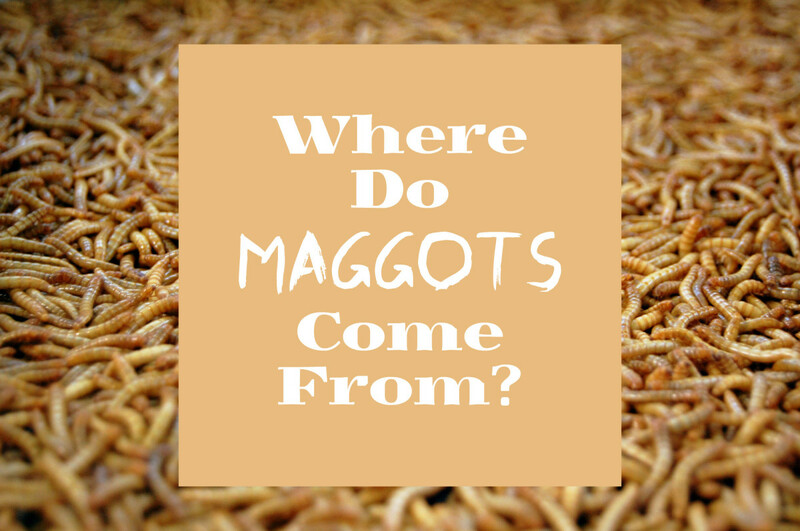 Like their relatives, they are pests and feed on carbohydrates, starches, and some proteins. Silverfish and firebrats are closely related and belong to the Thysanura order of insects. There are about 370 species in the order. 18 species live in North America. Not all species in the order are pests. Since silverfish aren't harmful to human health, there‘s no need to panic if you see a few of them in your home. A large infestation is more troubling, however, due to the potential property damage. 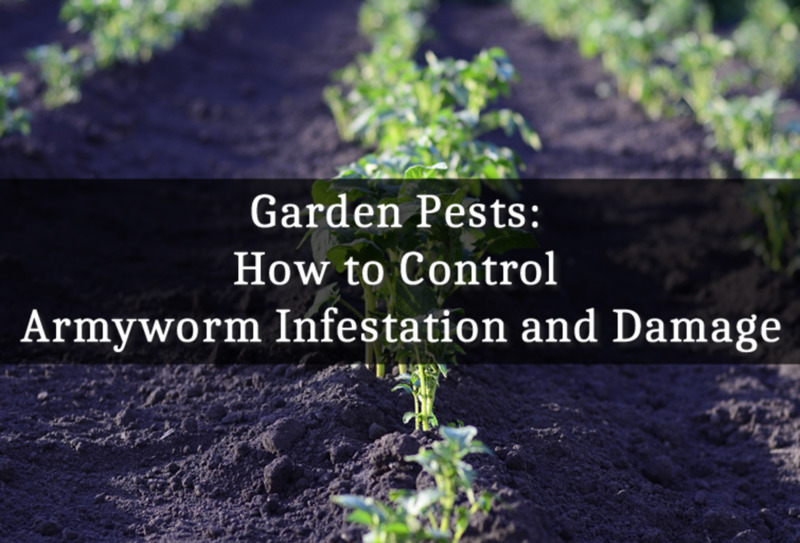 A natural control method may be all that's needed to get rid of the pests. Once the insects are eliminated or before they appear, good housekeeping techniques should protect a home from an invasion. 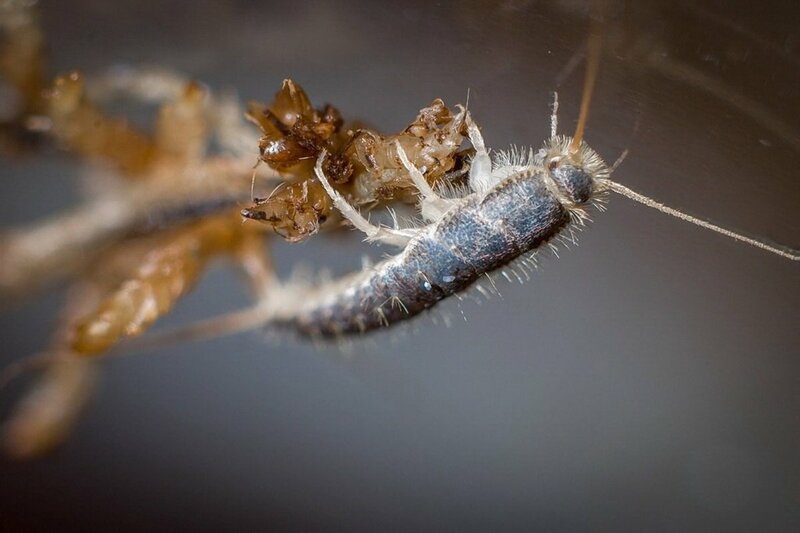 Reducing moisture buildup, maintaining a clean home in good repair, and carefully storing food and paper products are good long-term strategies for making homes unattractive for silverfish. Do you have any experience with silverfish bites in the human mouth? The possibility of silverfish being able to bite humans is an interesting topic. Most pest control experts say that the insects don’t bite people and that any claims that they do are due to mistaken identity. They say that the mouthparts of the insect are too small to hurt humans. 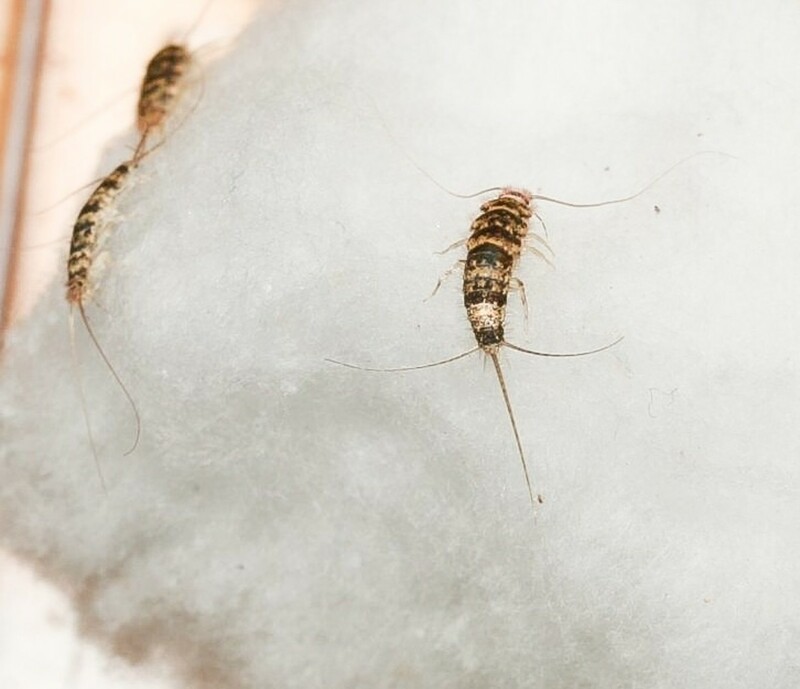 They also say that bites, when silverfish are around, are probably due to bedbugs, fleas, or mosquitoes and that a biting “silverfish” seen on the skin is probably a centipede. On the other hand, I’ve seen anecdotal reports from people who say that they are certain that the insect on their skin was a silverfish and that it bit them before they brushed it off. I have no experience with insect bites in the mouth. It sounds like a very unpleasant experience. How do silverfish protect themselves? Silverfish have the ability to hide in tiny cracks and crevices, which is a great form of protection. In addition, they are generally nocturnal. This means that when they live in a home or another building they often go unnoticed when they leave their hiding places. We are moving home. We currently have plenty of silverfish. When we move will they travel with us and infest our new home as they are currently in and amongst our belongings/furniture? If the silverfish are on and in your belongings, they may travel with them. Whether or not they survive the journey to your new home is another matter, however. Whether or not they survive after they enter the home is also another matter. Taking steps to prevent the insects from attacking potential food items during transport is very important. It’s also important to make the environment in the new home inhospitable for the insects. Since most terrestrial insects are uricotelic, I assume that silverfish are, although I don’t know this for certain. Uricotelic organisms release their nitrogenous waste as uric acid. Birds, lizards, and snakes are also uricotelic. The nitrogenous waste is produced chiefly from protein metabolism in the body and also from nucleic acid breakdown. Humans are ureotelic because the main nitrogenous waste in our urine is urea. Other mammals, adult amphibians, and cartilaginous fish (such as sharks and rays) are additional examples of ureotelic organisms. Ammonotelic creatures release their nitrogenous waste as ammonia. These include most bony fish, many aquatic invertebrates, and amphibian larvae. Bony fish in the ocean may release urea as well as ammonia, however. Ammonia is toxic and must be diluted in lots of water while it’s in the body. Urea is less toxic and requires less dilution. Uric acid is the least toxic of the three most common forms of nitrogenous waste and requires the least amount of dilution. The waste is often released as a paste instead of a liquid. It should be noted that some animals release nitrogenous waste predominantly in one form and to a lesser extent in another one. This observation applies to both humans and fish. Classifying the animal in one of the above categories, as is often done, may give the wrong impression. Should I be worried if I have found three silverfish in my apartment within ten days? I wouldn’t say that you should be worried, but I would suggest that you be observant shortly. I once saw two silverfish traveling near each other in my basement with no subsequent infestation appearing. I’ve also seen single silverfish repeatedly in a short period without a problem developing. It’s possible that there aren’t many silverfish in your home, as has been the case for me so far. On the other hand, the fact that you’ve seen three insects might mean that others that you haven’t seen yet are present in your apartment or have found a way to enter it. It might be a good idea to protect important items in your home to prevent them from being attacked by the insects. We have set two silverfish traps in our laundry room, but they catch nothing. Meanwhile, I see silverfish every day right next to the traps. What are we doing wrong? If a jar is being used as a trap, it’s important that the entire outside of the jar is covered with masking tape. The tape must go right up to the rim of the jar, or the insects will slip before they enter it. The jar shouldn’t be too tall. 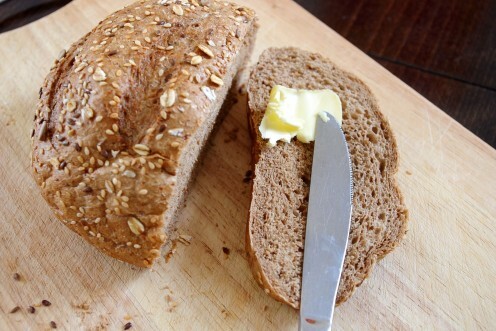 Using a fresh sample of bread that is quite big should also be helpful. Some people use a rolled-up newspaper for a trap. An elastic band is loosely placed around each end of the roll to enable it to keep its shape. The newspaper is then moistened and placed where silverfish are likely to be. The plan is for the insects to enter the dark interior of the roll to feed on the newspaper. I don’t know how effective this type of trap is. Some stores sell commercial silverfish traps. Any type of trap may need to be used for several days before the insects discover it. Traps work best at night when the insects are most active. If you can see evidence of the insects’ activity, that’s a good place to put the traps. It sounds like you’re already doing this, though. If you try the techniques that I've described and you still have a silverfish problem, it might be a good idea to contact a professional pest control company for suggestions. 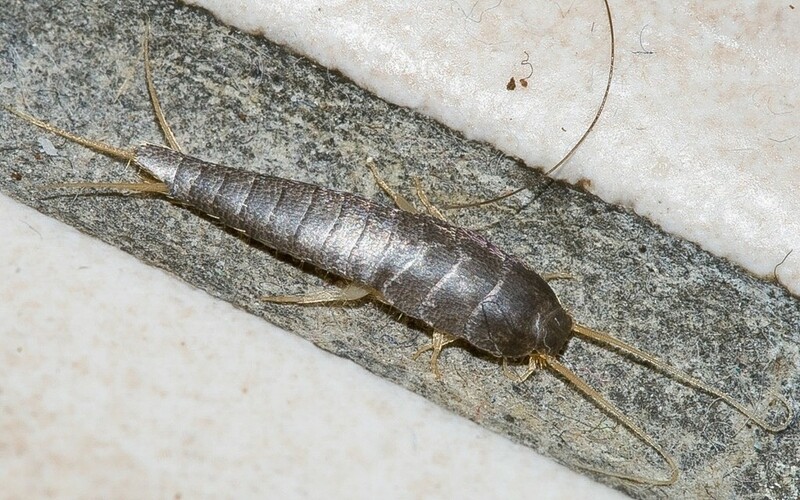 Perhaps once or twice in 10 years, I find one single silverfish in my house—as if out of nowhere! How far can they travel from nest sites? I don’t know the distance, but I doubt that it’s very far. Perhaps a scientist who studies silverfish would be able to answer your question. I do know that the insects hide very well and sometimes get help with transport, however. They may be transported into a home by a person when they hide in a suitable habitat like a package or a bundle of paper. 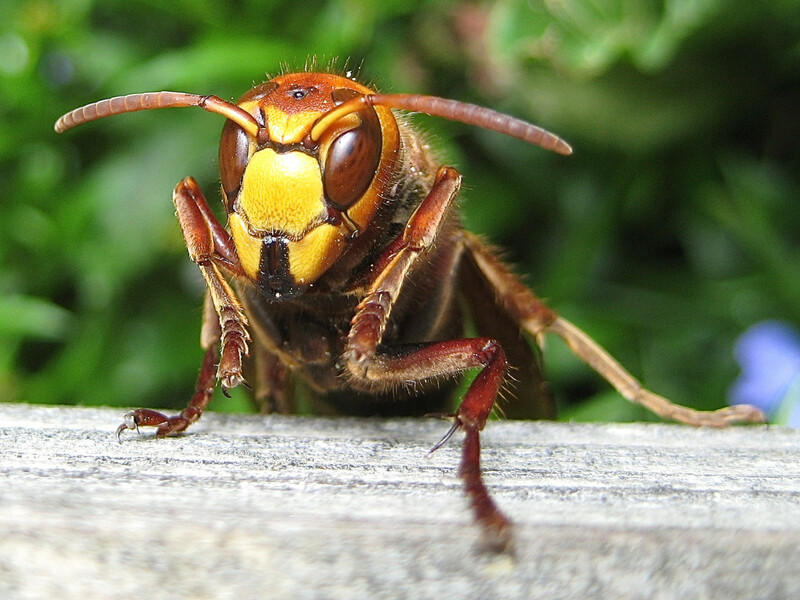 The insects sometimes live in or near the outside vents or drains of a building. They may find suitable food in the deposits found there or nearby but may sometimes enter a home to look for a new food source. I live in northern Minnesota. We had a lot of silverfish in our basement last year. I want to spray the perimeter of the house this year. When is the best time to spray as a preventative measure? I live far away from Minnesota, and in a different country from you. I'm not familiar with the climate in your state. A local pest control company or an entomologist at a college or university in your area could probably give you advice about the best time to spray the perimeter of your house. They could probably give you advice about the safety of such a widespread application of the spray, too. 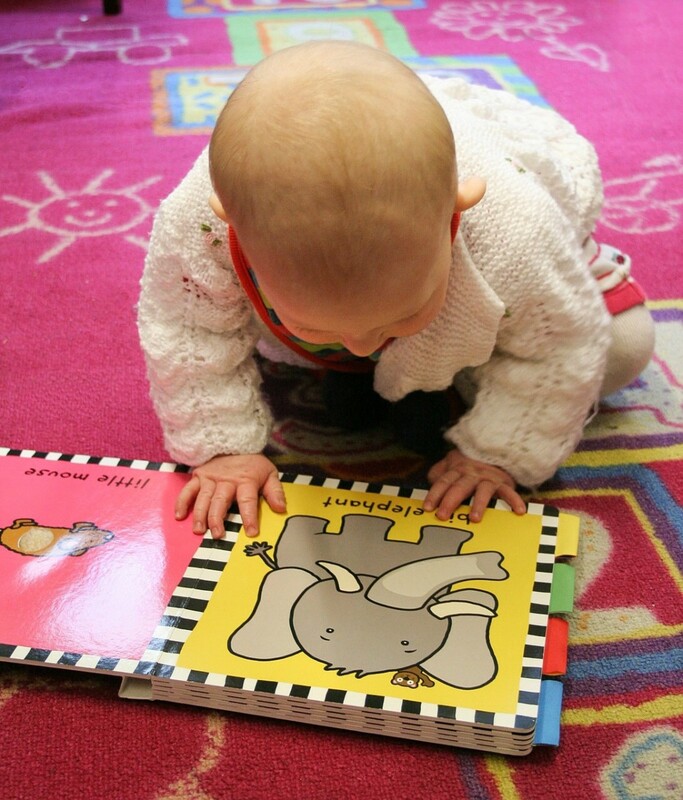 Chemicals are sometimes more dangerous for babies than for older people because of the smaller body size of babies and their immature systems. I suggest that you find out the name of the pesticide that the pest company plans to use and then investigate its safety for your baby with a health or medical authority such as HealthLinkBC or Vancouver Coastal Health. Hi, do you have any sources on why chemical treatments ought to be avoided with a baby in the home? I spoke with a pesticide control company in Vancouver (Atlas) and they said that it’s safe as long as babies leave the home for 24 hours after treatment... I really don’t want to resort to using chemicals, but the infestation we have in our apartment is hard to bear! Shaking out clothes to remove silverfish sounds very unpleasant! I'm sorry that the insects are causing you such bad problems.. The true nature of the house must have been a shock for you. I've glad that you eventually enjoyed living in it. Insects in a home can be very annoying! No matter how clean we are some crazy bug is going to get in our homes. I only saw silver fish once in a rental home we lived in. It was 1965..We also had black widows in that house. The day we moved in I cried. When we first saw the place they had all their furniture in and looked ok. Once they moved out I saw how dirty it was we had to scrub everything before emptying our boxes. We survived and enjoyed the home later. I occasionally find one or two silverfish in my basement. I hope you don't experience an infestation this year! Found a silverfish tonight. Only find maybe one or two a year. Just rained here and getting a bit warmer as well. Time to start the usual treatments again. Hi, Kishs. I describe all the ways to get rid of silverfish that I know of in the article. If these don't work and the silverfish are still a problem, a professional pest remover should be contacted. Good luck with getting rid of the insects. I discovered silverfish about a month or two after moving into my new apartment. They appear on my bedroom on the wall where it meets the ceiling and only in my bedroom. First, it was only one for a long time, now I'm seeing three at once and I do believe they are reproducing because it was a small one in the ceiling crevice with a bigger one. Although I've read that they don't cause harm, I'm just unnerved that they keep reappearing even after I've killed previous ones..I think I'm going to call an exterminator because I had a really really bad pest problem from two previous complexes and my tolerance level isn't good. What should I do about these silverfish? How do I assure they won't spread to other sections in the house? Silverfish are grey in colour so I doubt whether they are the creatures in your bed. I can't say what they are without seeing them, though. If you ever catch any, a pest expert in your area might be able to identify them. 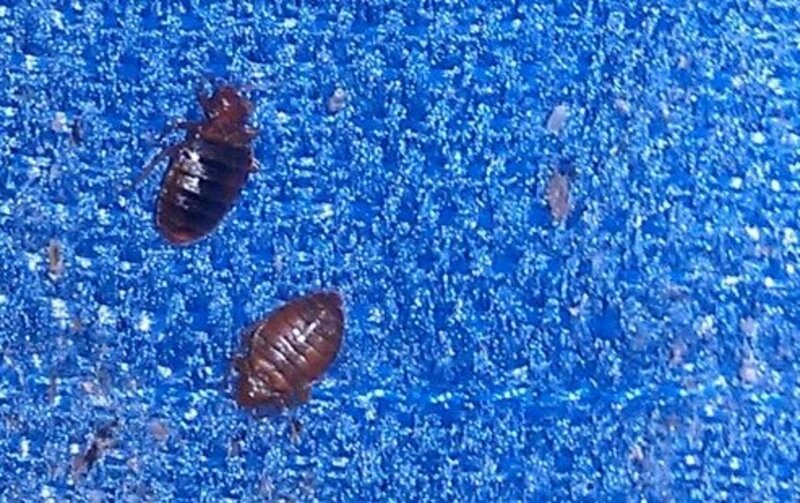 What are the white bugs found in beds? Are they silverfish? One day I woke up with a white blurry blob next to my face but it scurried away so I didn't get the chance to see what it was. Thank you Linda for your suggestions, we will definitely reach out to those areas for further help! This sounds like a horrible situation. All the safe methods for getting rid of silverfish that I know of are included in my article. I can certainly understand why you don't want to use chemical removal methods with a baby and a cat in the family. I wonder if an entomologist at a college or university would have other ideas, or perhaps the public health department in your area? It's worth contacting them if you can. We have had an ongoing issues the past few months with these critters! We are currently living in a rental so we’ve tried having our landlord deal with the issue but their solution are more or less bandaids ... not fixing the actually probbly. I started keeping a log of how many I see in a day since we first contacted them and in a month and a half we have seen and killed 89 silverfish. All of which have been in our cupboards, our drawers, our clothes (even my daughters clothes), our bathroom our closets. It’s clearly an infestation, a bad one. I can’t help but think it’s skmethjnf we are doing but we have a baby and I clean none stop and don’t leave stuff left out or inoroperly stored. Since we have a cat and an infant, are there Any safe ways of getting rid of these critters? If we moved to another location would we just be bringing them with us?!? It’s a terrible feeling, always checking your clothes and food to see if they are hiding inside...... we’ve tried all the solutions and while we are trapping some we are still seeing/killing a lot! Good luck with getting rid of your silverfish! The only place I've found them in my home is in a basement bathroom, and then generally only one at a time and not very often. I would certainly be upset if I found one on the living room table! Thanks for the good tips on how to get rid of the silverfish. They really do creep me out.. I have found 9 silverfish in total in my flat now. The 9th being tonight, what prompted me to google the horrible little things. Some were a darker colour others were really silver. I managed to kill 8 out of the 9. The one what got away went in a tiny gap between the skirting board and floor in my bathroom, I think they are living under the bath and or under skirting boards. I found 3 of them shaking out my bath mat, one was trapped in the bath and one cheeky one was on my table in my living room! It obviously had a death wish!! I am defiantly going to try the glass jar tip and the sticky trap as I want to know and see how many I can catch! I have found the 9 over the last 4 months, but my bathroom floor can make it hard to spot the lighter coloured ones, as I am guessing i probably would of seen more. I have been tempted to use more colourful language whilst writing about the silverfish and several times had to stop to figure out alternative phrases as they really do freak me out, they leave me itchy after seeing them! I am scared to death off spiders and even kept the last couple i have spotted in my flat in hope that it will keep the silverfish population down! So once again thank you for posting this and I am very optimistic about the suggestions being successful. I'm glad the information was helpful for you, Jun. I hope you're able to get rid of your silverfish. Thank you for the information. I spotted these little creatures a few times in my house but never knew what they were. Today I saw at least five of these in one of my kid's toy boxes and decided to do a google search to see if they pose any danger. I put a few key words like "insects", "weird", "old books" and google showed me the silverfish image from your post, exactly what I was looking for. It's good to know silverfish do not carry diseases. Again, thank you very much for the information. I've never been to Texas, but I've read that both silverfish and firebrats can be found there. Perhaps you've been lucky and never lived in an environment that they like! I've lived in Texas (both rural and urban areas) all my life, but I've never encountered silverfish or their cousins. are they not native to Texas or am I just extremely unobservant? I'm sorry about your situation, Jack. The dampness may well have triggered the infestation. I hope that the natural methods of dealing with the insects work or that you find another source of help. The leak wasn't your family's fault. Hi, Jack. I can't say whether the technique will be sufficient for your particular infestation. It's worth a try for a short period to see if it's helpful, but I think a really bad infestion would probably require professional help. Good luck with getting rid of the silverfish. Silverfish aren't poisonous and they aren't known to transmit disease. I suppose it's possible that they could transmit unpleasant bacteria, depending on where they've been crawling, but as far as I know they haven't been linked to health problems in people or pets. Are they dangerous if my 3 dogs eat them? No, they don't. Despite their name, silverfish live on land. When silverfish are babies do they live in water? Hi, Vicki. Thanks for the comment. A female silverfish has an ovipositor. I would like to know how you can identify between a male and female silver fish. Oh and this was helpful thank you. Hi. It's probably a good idea for a pest expert to look at the insects that you've found in order to get the correct identification. Hopefully the expert can help you get rid of the insects, too! Good luck. Hi, Mark Evans. I think you would have to ask the building owner or landlord that question. I don't know about the regulations for rental properties, but it seems to me that if the owners or people in charge know about a silverfish infestation they should try to deal with it. If a rental property has them. Does that mean they don't have an exterminator company under contract? We stayed a couple buildings down the street last winter and never saw one the whole 10 weeks. Thank you very much, Boxcar. I hope you get rid of your firebrats! We moved into a brand new condo 4 years ago. No bugs! That is, until after the 4th year (now) and we occasionally see a Firebrat in our master bathroom or the guest bathroom. Tonight, however, I saw one in the kitchen. Time to take action. Thank you SO VERY MUCH for your info. You are awesome! Hi, CJ. I can certainly understand why you want to be careful when you have a newborn baby in your home! Good luck with getting rid of the silverfish. I've noticed 4 in my home for the first time in the last few days. I have a ton of books and I'm afraid I won't be able to starve them out. Glad there's a safe option to get rid of them, and that they don't carry diseases. I have a newborn. Thanks for commenting, Dee Nel. Thanx for the info. Feel better knowing they don't carry diseases. Hi, Perspycacious. I think that silverfish are very interesting to watch, although it's not good to find them in a home! I hope you never experience an infestation. Thanks for the visit. Interesting scurryers those silverfish. It was interesting to note that they scurry, pause, and scurry again. That might be what so fascinates cats. So far no infestation, but I have had occasion to notice them and will keep the elimination tips handy just in case. I might even try the index card suggestion to check, an will have to consider not leaving the cat food out at night. I'm sorry you're having such a problem with silverfish, sofie. I hope the techniques for getting rid of them work. Hi, poshcoffee. Yes, silverfish are still around! Thank you very much for the vote and the share. I can remember these from my childhood. Thought they had gone for good, obviously not. Nice article on the subject. Shared and voted. Thank you for the visit and the comment, Better Yourself! I hate the idea of bugs in my house in general and these guys are no exception! Thankfully I've seen very few! Good info, nice job! Hi, Mel. You've described the situation in my home, too! I see a silverfish occasionally in my basement, but I've never experienced an infestation. Thanks for the visit. I've seen silverfish all of my life but never knew much about them. Thanks for enlightening me. Mostly in my home I see a random silverfish or two but I would not call it an infestation. I never new about the firebrats. Strange name. I'll have to take a second look at our so-called silverfish. Thanks for the visit and the comment, carlajbehr. 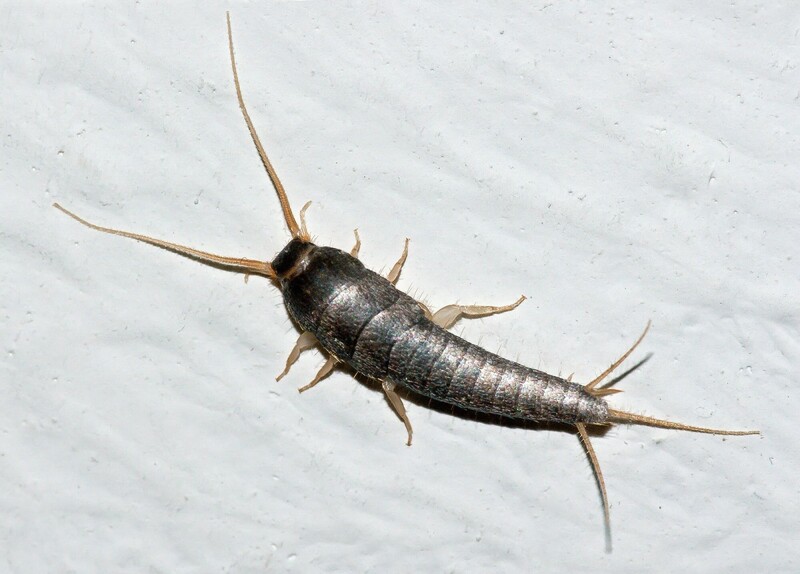 It is better to prevent a silverfish infestation than to deal with one! Ewww, these have always disturbed me. Thanks for the info - it's good to know what draws them. That's an interesting (and funny) comment, Bedbugabscond! Thanks for the visit. Thank you for the comment and the votes, Faceless39. I appreciate your visit! Yes, I'm not a fan of pesticides. They can create so many problems. The first time I saw a silver fish I thought it was an alien because it looked as if it had two heads! Great hub with a lot of interesting information. And I agree with you about pesticides; keep them out! I would be very upset if silverfish were destroying my books! I'm sorry that this is happening to you, ketage. Good luck with your battle against the insects! Hi, 2besure. Thank you for the visit and comment! I never knew silverfish were destructive to your home. I very seldom see them around, but then I don't have a basement! Great information. Silverfish and firebrats seem to be very versatile insects! Thanks for the visit, Sue. We used to get silverfish or maybe they were Firebrats since they were all around the fireplace when I was little. Thank you very much for the comment, the vote and the share, Daughter Of Maat! I appreciate them all. I haven't had the experience of stepping on a silverfish (as far as I know). It sounds very unpleasant! Great hub. I hate these things. If you accidently step on them they seem to turn into a powder! I see them every now and then in cabinets and now that I know they're attracted to moisture and figure out why!! Voted up and shared! Great piece! What I find so interesting about these insects is that their movement does make them look like a fish! Thanks for the comment, Ingenira. I have seen this creature in my house before but never knew its name. Now, I know, it's called silverfish, though it is not really a fish living in the water. LOL. Interesting. Hi, eugbug. I occasionally see a silverfish in my basement, but the insects don't seem to be doing any harm. I like to watch their movement - it's so interesting. Of course, I wouldn't feel this way if I had a silverfish infestation in my home that was causing damage! The silverfish in your home don't seem to be following the "rules" about living in a damp area! Thanks for the visit and comment. Silverfish emerge from the crack between the hearth and mantel of a fireplace in my home at night. Presumably they life on crumbs (or possibly the carpet!). This is actually the warmest and driest room in the house and I have never seen them anywhere else. So they must be "home birds" and content to stay there! Thank you very much, mercuryservices! Silverfish can be very annoying and damaging when they form an infestation. I can understand why people don't like them. Silverfish are the absolute thing i detest the most! Gross. Thanks for this well plotted hub full of tips to keep keeping them away! Having silverfish in clothing sounds very unpleasant, peachpurple! Thank you for the comment. i get lots of silverfish in my old books and documents. Sometimes in my everyday clothes. Thanks for yr hub. Hi, kitkat1141. I've read claims that bay leaves, cloves or clove oil repel silverfish. These substances are certainly worth trying, especially since you've found that bay leaves work for other bugs! Clove oil needs to be treated with care, though. It's important that children and pets don't eat it. Thanks for the comment! Thank you for this detailed hub. 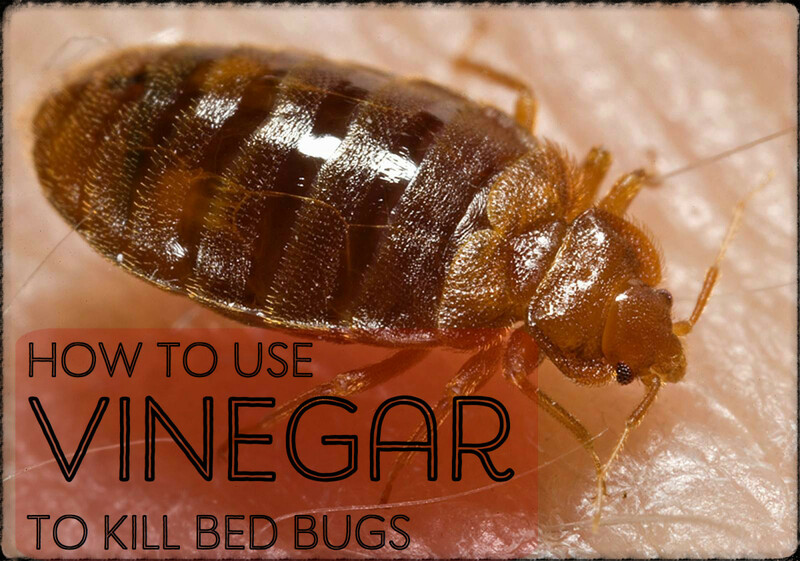 You have given many solutions to try and get rid of these pests. Do you know if anything scented will deter them. I recently learned about using bay leaves to avoid flour bugs that were attracted to my dog's food. It has worked for them! Thank you very much for the visit and the votes, iguidenetwork. Silverfish are interesting creatures, but they can be certainly be annoying! Silverfish are so annoying. I see them between the pages of my book either alive or dead. Thanks for sharing information and tips on how to get rid of them. Up and useful. I've never thought of that before, but silverfish do look a bit like tadpoles! Thanks for the comment and the interesting story, Angel. My 8 year old spotted one on the kitchen floor and said mom can I keep that tadpole. I then said what tadpole she said the baby one on the kitchen floor. I had no idea what this insect was. Thank you for the great info and tips on these little guys. Good luck with your silverfish problem, Wendy! I hope they don't cause you too many problems. That must have been an interesting discovery, Brandon! I hope the silverfish didn't damage your school books. I found one in my school bag. Thank you, anndavis25. I'm glad that you found the hub useful! So useful. I'm printing it off for later use. Thanks. Thank you for the comment and the share, Peggy - and thank you for sharing your experience too! I see a silverfish occasionally in my basement, and then I know that it's time that I get into action removing any conditions that silverfish might like! This caught my eye again since several months ago we saw one silverfish in one of our bedroom closets. Since they like humidity...they probably LOVE Houston, Texas! Even though we air-condition the house, there is always some humidity. Went into action mode with regard to emptying out the closet & doing some deep down cleaning. Haven't seen one since and hopefully, won't again. Sharing! Hi, wandererh. That's a funny story! Thanks for commenting. Hi, mark. Thank you for the comment. Silverfish can be very annoying little pests! now I know what's been causing all those holes in my clothes! Thanks, Red74. I hope you catch your silverfish! Yes, natures47friend. Silverfish are such interesting creatures. They do have the potential to cause damage, but if they're cared for carefully they would make good pets! Thank you for the votes. So cool....when I was a science tech at a local highschool I had a pet silverfish. I kept it an icecream container. Had it for months until some idiot teacher lifted the lid and ruined it all. Had lots of old textbooks that I used to source glued bits. I must say I was disappointed that teachers could not understand to read the label and leave well alone. Only biology teachers understood. voted up, awesome..
Hi, Alison. Whenever I've found silverfish they've always been in damp areas. Good luck with catching them in your house! Thank's for this it has made me understand why these little guys are under my stairs in closet,it is an old house and know there is a damp issue,also seeing them in bathroom will try the jar tonight and hope that works to get rid of a few. Thanks for the comment, TheSMan. Silverfish are strange little creatures, but I think they're interesting to observe. Thanks I was wondering what those things were, I don't think theres any females nearby though since I've only seen one or two even after searching for them. Still, it's good to know what they are and how to handle them.